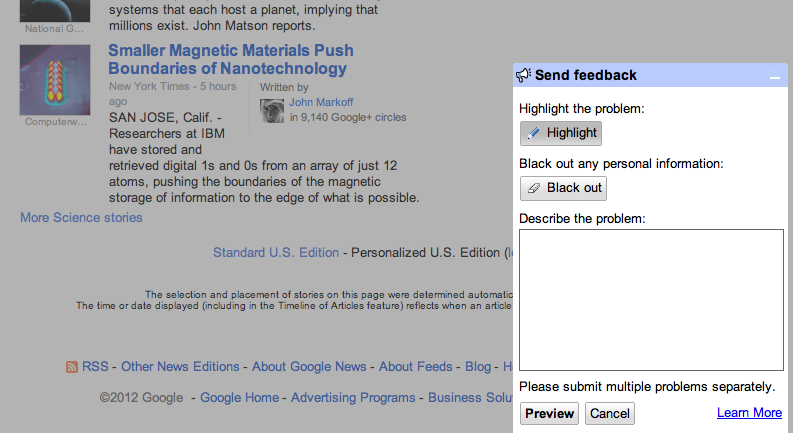 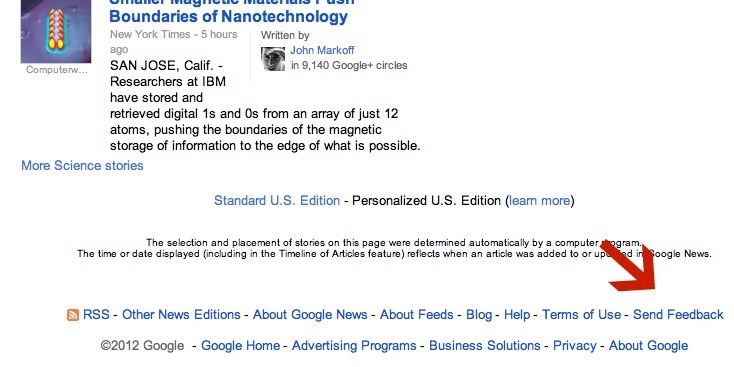 Google News Blog: Sending us feedback is now much easier! Posted by Mariko Suzuki, Google News Strategist Do you have any feedback or suggestions you would like to share with the Google News Team? 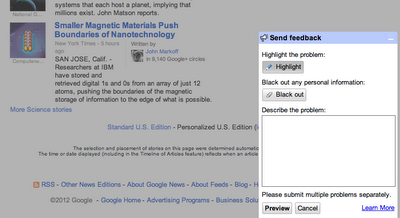 We always love to hear from you, so we made submitting feedback much easier.